For almost two-three weeks now, we haven’t been able to do any Twitter activity with my students (Istanbul Bilgi University Prep School). 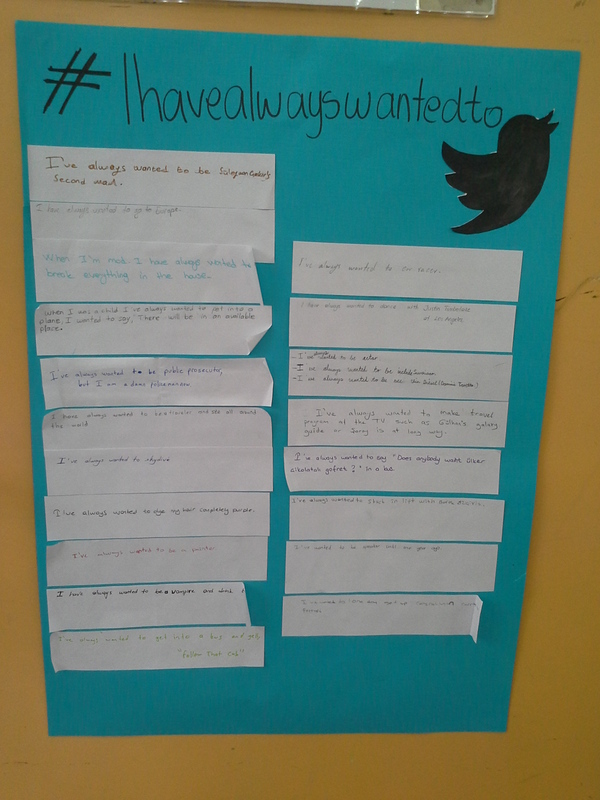 But we came with this idea and I really wanted to share it as it was a lot of fun for the students to do a Poster Twitter.. Previous Previous post: Kid President’s Pep Talk to Teachers and Students!